Superdry women's Steph boyfriend shorts. 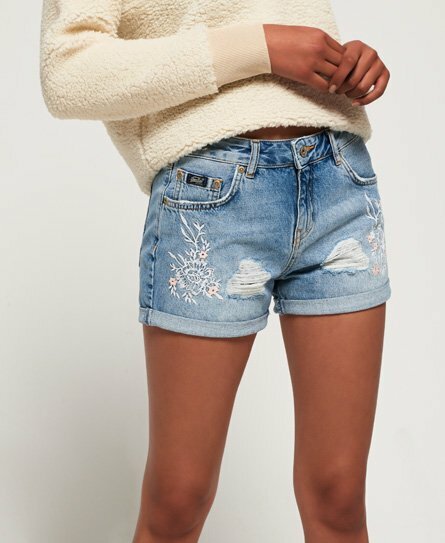 Raise the style status with this pair of boyfriend fit denim shorts. They feature distressed detailing, turned up hems, five pockets and zip and button fastening. The Steph boyfriend denim shorts are finished with a Superdry logo patch on the coin pocket, an embossed logo patch on the rear waistband and belt loops.